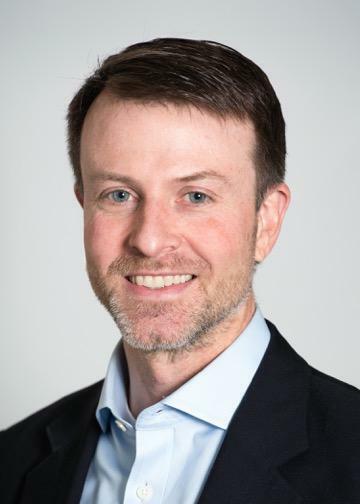 PHILADELPHIA – E. John Wherry, PhD, co-leader of the Abramson Cancer Center's Immunobiology Program and director of the Institute for Immunology at the University of Pennsylvania, has received a Phillip A. Sharp Innovation in Collaboration Award from Stand Up To Cancer (SU2C), the non-profit organization established by film and media leaders to support collaborative cancer research and increase awareness about cancer prevention. Wherry, the Richard and Barbara Schiffrin President's Distinguished Professor of Microbiology in Penn's Perelman School of Medicine, and Matthew Hellmann, MD, a medical oncologist at Memorial Sloan Kettering Cancer Center, comprise one of five teams to receive $1.25 million to cross institutional lines and collaborate on new research projects. The members of the five teams are all part of the SU2C research community. In selecting the winning projects, the organization placed an emphasis on projects that involved SU2C-funded researchers with different skill sets. Under the award, Wherry and Hellmann will seek to improve reinvigoration of exhausted T cells, which are white blood cells that are part of the immune system. The "T" stands for "thymus" – the organ in which these cells mature, as opposed to B cells, which mature in the bone marrow. T cell exhaustion can arise during chronic infections and cancer; it prevents optimal control of infections and tumors. Durable reprogramming of exhausted T cells is a fundamental goal of cancer researchers. Recently, Wherry demonstrated that exhausted T cells are epigenetically distinct compared to other T cell subtypes. Epigenetics refers to external modifications to DNA that turn genes "on" or "off." Additionally, Wherry demonstrated that PD-1 blockade therapy, a highly promising anti-cancer treatment, is insufficient to re-invigorate exhausted T cells for any meaningful length of time. As a result, the T cells quickly revert to an exhausted, dysfunctional state. To try and address this problem, Wherry teamed up with Hellman, a lung cancer physician who has been leading combination immunotherapy studies in lung cancer patients, to test whether modifying epigenetic pathways in T cells in concert with PD-1 pathway blockade can help "reset" the exhausted cells. They hypothesize that the combined approach will improve exhausted T cell reinvigoration compared to PD-1 blockade therapy alone. The projects receiving funding were proposed during the SU2C Scientific Summit in January in Santa Monica, California, and were selected "on the spot" by a board of experts, based on 250-word preliminary proposals. These provisional selections were subjected to a more detailed review and have now been formally approved by SU2C in concert with its scientific partner, the American Association for Cancer Research, and a scientific advisory committee led by Nobel Laureate Phillip A. Sharp, PhD, Institute Professor at the Massachusetts Institute of Technology, for whom the Sharp Award is named. The Perelman School of Medicine has been ranked among the top medical schools in the United States for the past 20 years, according to U.S. News & World Report's survey of research-oriented medical schools. The School is consistently among the nation's top recipients of funding from the National Institutes of Health, with $405 million awarded in the 2017 fiscal year.